The conference focuses on the way in which a particularly orthodox approach can contribute to reassessing scientific knowledge and strengthening the dialogue between religion and science. 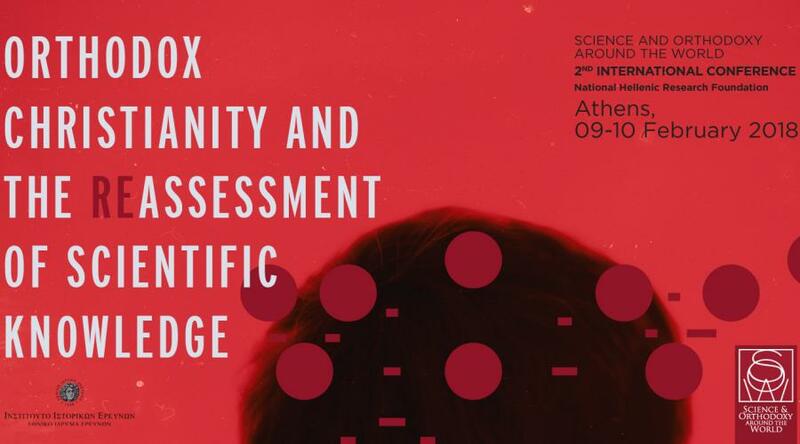 The Institute of Historical Research, the National Hellenic Research Foundation is organising the second international conference as part of the project ‘Science and Orthodoxy around the world (SOW)’ on 9th and 10th February 2018.The theme of the conference is ‘Orthodox Christianity and the Reassessment of Scientific Knowledge’. It will take place at the National Hellenic research Foundation, (Leonidas Zervas Amphitheatre, 48, Vasilis Konstantinou Avenue, Athens). The project Science and Orthodoxy around the World (SOW) studies the relationship between science and religion in the orthodox world of today. It is the first major attempt to give a comprehensive picture of the relationship between science and religion throughout the orthodox world, which includes more than 300 million people in a multitude of states, establishing a platform for long term discourse on an international level between natural scientists and orthodox scholars. More than 50 specialists from 15 countries and from research fields from the Exact Sciences and Philosophy to History, Theology and Education. It addresses all researchers in the relevant fields, scholars of science and religion from all over the world, as well as a wider audience interested in issues arising from the relationship between science and religious faith. The project’s second conference focuses on the way in which a particularly orthodox approach can contribute to reassessing scientific knowledge and strengthening the dialogue between religion and science. The wars, the ecological catastrophes of recent decades and fear of a nuclear apocalypse have undermined the hope that the achievements of science and technology would usher in a glorious future for mankind. However, have we moved beyond the perception that only scientific positivism can open the way to knowledge? Is there a common perception of science or several competing models of science? Do miracles and God still have a place in today’s world? Why do scientific findings so often appear uncongenial to human aspirations for the future? The National Documentation Centre (EKT) will provide live streaming of the conference at http://media.ekt.gr/live. The conference will be in English.